To develop, commercialize and capture significant market share with the Company’s breakthrough photometric instruments and proprietary nanostructure reagents in large scale global markets including food safety, public health, environmental monitoring, process control, medical diagnosis, and other chemical and biological opportunities. Job Titles: Senior Research Scientist, Organic Chemist, Chemical Engineer. Seeking a pragmatic scientist, an out-of-the-box independent thinker and problem solver who is eager to join a startup team and contribute to product definition and problem solving. This senior research scientist, principal organic chemist, or chemical engineer must be technically solid and highly capable of leading and directing development projects in versatile chemical applications. This individual must have proven and accomplished hands-on experience running, researching, developing, and conducting laboratory experiments, involving Raman Spectroscopy, chemical analysis, sample measurement and preparation, experimental techniques, data analysis…etc. The qualified candidate must have a wide knowledge base in chemistry and a strong technical knowledge in surface chemistry and interactions, to lead our efforts in developing methods and techniques applicable to Food Safety, Chemical, Biochemical, and Petrochemical industries using Surface Enhanced Raman Spectroscopy (SERS) and other techniques. Individual leadership and effective communication skills coupled with a strong desire to develop new and practical methods for elemental detection applicable in the above multi-billion dollar markets are essential requirements for this position. Demonstrated proficiency with chemical and analytical laboratory equipment, techniques, and instrumentation are critical. Desire to lead directly in a hands-on format, or direct others in technical and experimental efforts whenever needed are essential requirements. This senior technical individual must be highly organized, capable of collecting, documenting, analyzing, and presenting data, ideas, or alternative methods in clear and concise format. Good interpersonal skills, as well as effective verbal and written communication in English are essential, as this position will require regular interactions with other senior staff scientists and customer representatives. Only qualified and motivated individuals with advanced degrees and pertinent minimum experience of 5 years will be considered. Competitive salary and equity is commensurate with qualifications. Familiar with embedded product development process, industrialization process and experience on yield improvement. Handy person with preciseness, systematic and logical thinking. Good English communication skills. Chinese would be definitely a plus. Some basic knowledge on Optics, Fluidics, Mechanics, or Chemistry/Biology would be definitely a plus. Technical support for other team members when necessary. Apply: If you are interested in applying for a career opportunity at Optokey or you want to send us your qualifications for future consideration, please email your resume to jane.li[AT]optokey.com. 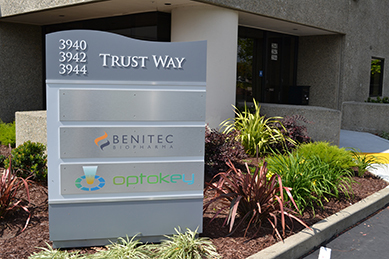 Optokey Inc., is a successful and fast growing 3 year start-up, located in Hayward-San Francisco, Bay Area. Optokey is experiencing growth, and is leading efforts in multiple product development applications involving SERS and Raman Analytical Techniques. Optokey Inc. excels in designing, testing, and integrating optoelectronic and microfluidic components used in target markets for analytical and elemental detection. The Contact us directly by calling +1-510-298-7828, emailing info@optokey.com or by submitting the following form. If you wish to receive information from Optokey please join our mailing list. Complete the Contact Information Form below, and indicate that you wish to receive emails from the Company. We will send you the latest news and updates on the Company as well as information on product availabilities and schedules of upcoming events. Copyright ©2018 Optokey. All Rights Reserved.